It can be difficult to meet your daily intake of vegetables in the winter as they are not as widely available compared to other seasons. These wonderful recipes take advantage of winter vegetables and transform them into everyday meals that you can enjoy all season long. From slaws, to chilis and simple salads, these vegetable-centric meals will have your taste buds salivating. 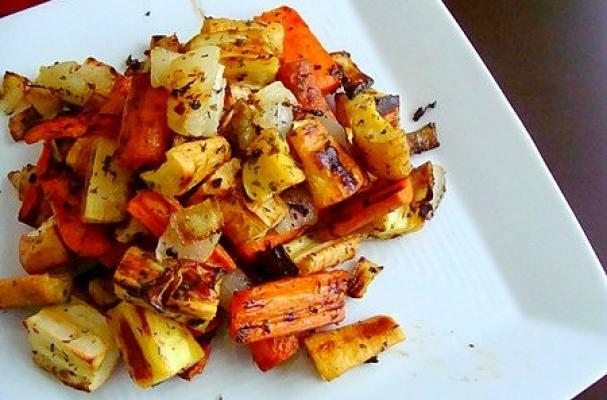 Root vegetables contain natural sugar and the addition of maple syrup highlights their sweetness. If you love the combination of sweet and spicy, feel free a dash of cayenne pepper or chipotle chili powder to the mix. Chickpea and spinach curry is an easy meal to help you boost your vegetable intake. Chickpeas and spinach are simmered in a spiced broth seasoned with curry powder, cumin chili powder and turmeric. Feel free to add more hearty winter greens to the curry including collard greens, swiss chard, or kale. Cauliflower has been receiving some major love from cooks recently and this is yet another recipe that shows off the brassica's flexibility. 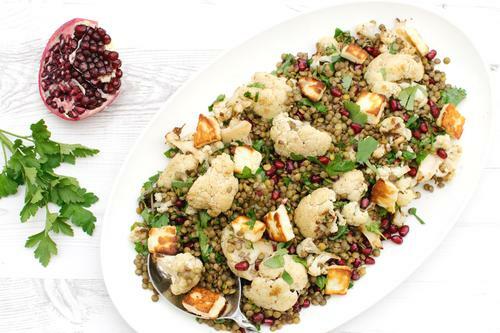 Roasted cauliflower is served on a bed of delicate lentils and golden brown cubes of seared halloumi cheese. Spicy pumpkin chili is a unique chili recipe, perfect for the wintertime. 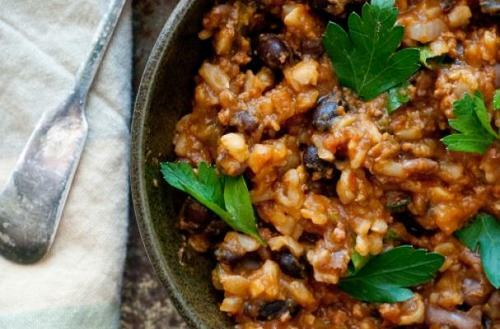 Pumpkin puree is mixed with rice, beans, and ground beef for a hearty one-pot meal. This pot of chili is best enjoyed on a cool evening, curled up on the couch with your favorite movie. 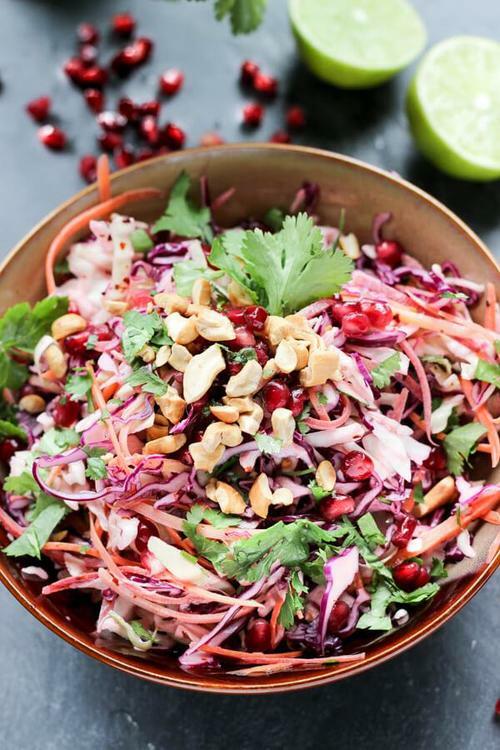 With colors as inviting as the ones featured in this Mexican slaw, it will be hard pressed to turn down a bite (or full plate for that matter). 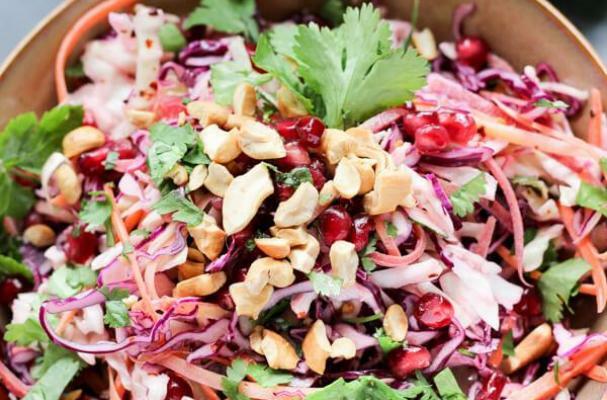 White and red cabbage are combined with carrots, cashews and pomegranate seeds to create a salad that is not only healthy but delicious too. You can enjoy this dish on its own or pile it into a tortilla with your favorite taco protein.